How Exciting! 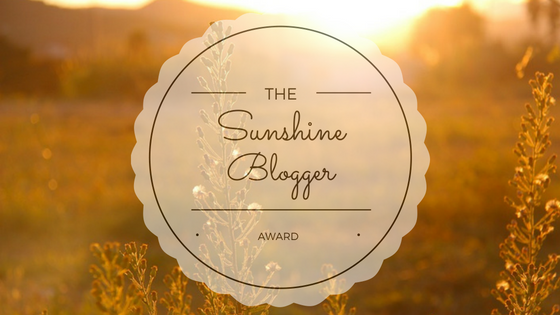 Dan and Fiona of 360exposure have nominated ACZ for a Sunshine Blogger Award! Thanks Dan & Fiona, your gesture is genuinely appreciated. I’ve always enjoyed writing; poetry, songs, radio comedy. I’ve also written journals for many years, sort of a diary. A blog seemed like a logical next step. Like many, at first I thought I was framing up a book, but then the blog community stole my heart. I’d spend much of my time in service to others. Refugees of war-torn countries, VISTA stuff, Veterans, the blind and illiterate, and animals. What do you prefer Marine or Terrestrial environments? As a terrestrial mammal raised on Terra Firma, I like dry land. I love water’s beauty and value, but I’m a little uncomfortable in an environment where I can’t see things that are big enough to eat me. If you were kind and you knew then what you know now. Would you have chosen a different profession and what would it be? As dichotomous as it sounds, if I could do it again I’d probably be a monk or a drill sergeant. If you could save one animal on the planet which animal would it be? Favourite music genre and/or band? Not sure what you’d call it, but it would be Rickie Lee Jones. If you could earn a salary from blogging, would you do it? For legitimate publishing, yes. Not as a vendor or tech support or anything. What are your views and thoughts on global population numbers. This question may be too big for me. There are a lot of people and there must be a limit of some kind. Quite honestly, in my true Armchair Zen heart I don’t think humans are the best thing for this planet. Maybe it sounds a little crazy, but frankly the planet would be better off without them (or perhaps a total world population of a million or two). My eye to the cosmos says our little globe will be glad when they’re gone. Where do you live now? If you had to move to a foreign country where would you go to? I live in New York State, the northeast United States, not far from the confluence of two famous rivers; the Hudson, named for Hendrick who landed here in 1609, and the Mohawk, made famous by the tales of James Fennimore Cooper. If I was forced to move I’d go to Canada, but then our neighbors and our countries are quite similar. Otherwise, in a total fantasy answer, maybe Australia. When was the last time you spent the entire day without your cellphone and/or iPad? Every year I have the great privilege of camping at Forked Lake in the wilderness of the Adirondack Mountains. There are no cell towers in the High Peaks region, and therefore I have a perfect excuse to leave the phone in the car. It is the most peaceful time of my entire year. Thanks again to Dan & Fiona at 360exposure. This has been an honor, and a lot of fun! Consider yourselves properly praised and recognized as a great blog neighbor, then! I think blog awards are a little like chain mail. Not sure there are actual winners or prizes. I think the idea, as you said, is to be able to name some deserving blogs and recognize them. Anyway, the nomination alone is enough for me! Agreed, too, that I liked the opportunity to cite some deserving blogs. If there is a winner, good luck to all. If not, Congratulations all around! Congratulations Paz on the well-deserved Sunshine Award for your blog! I really enjoyed reading your answers to the questions, and I will look into the many fine blogs you have nominated. Thank you so much for flattering me with a nomination! I’m so sorry I must decline due to limitations because of health problems and so many pressing demands on my limited abilities. It was my pleasure to cite your blog. Among the Sunshiniest in the blogosphere!